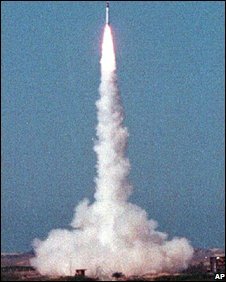 Disgraced scientist AQ Khan has said that Pakistan transported nuclear material to North Korea with the full knowledge of the country's army. In media interviews, he said that the army supervised a flight of centrifuges to Pyongyang in 2000. 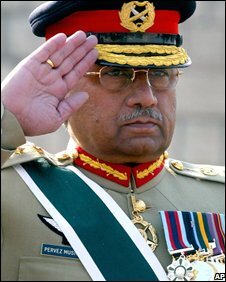 At the time, the current President Pervez Musharraf was head of the army. He has repeatedly stated that no-one apart from Dr Khan had any knowledge of the nuclear transportations which caused international concern. Dr Khan said that uranium enrichment equipment was sent in a North Korean plane loaded under the supervision of Pakistani security officials. The BBC's Barbara Plett, in Islamabad, says that Dr Khan's latest claims contradict a public confession he made in 2004 that he was solely responsible for exporting nuclear technology to Iran, North Korea and Libya. Our correspondent says that the comments are the most controversial accusations made by Dr Khan since he recently began defending himself in statements to the media. His remarks also contradict the oft-stated line of the Pakistani government that neither it nor the army had any knowledge of the exports. "It was a North Korean plane, and the army had complete knowledge about it and the equipment," Dr Khan said. Pakistan's newly-elected government has relaxed restrictions on Mr Khan, who was put under house arrest in 2004 by the then military leader, President Musharraf. He is still detained but has begun speaking to the media by telephone. He said the army must have been aware of the centrifuges exports since it supervised all defence consignments and special flights. Dr Khan also said the president must have known about the shipment, because he had written about it in his memoirs. But when pressed he stopped short of directly implicating Mr Musharraf, saying he did not know who specifically was responsible. The allegations are highly controversial, correspondents say, and could prove extremely embarrassing for the army. President Musharraf's spokesman, Rashid Qureshi, dismissed Dr Khan's claims. "I can say with full confidence that it is all lies and false statements," he said. Other government departments - including the army and foreign ministry - declined to comment on Friday. The retired scientist has spoken increasingly to the media since a new government was elected in Pakistan earlier this year. When asked why he had taken sole responsibility for the nuclear scandal in 2004, Dr Khan said he had been persuaded that it was in the national interest. In return, he said, he had been promised complete freedom, but "those promises were not honoured". Dr Khan also said that he travelled to North Korea in 1999 with a Pakistani general to purchase shoulder-launched missiles. His wife this week went to the Islamabad High Court in a bid to end restrictions on her husband's movements. Dr Khan was pardoned by President Musharraf after admitting illegally transferring nuclear secrets to other countries including Libya, Iran and North Korea. But in recent weeks he has retracted his confession. 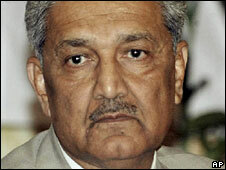 Will Pakistan's nuclear pioneer be rehabilitated?